How do you store your fabric scraps? By color? Or maybe by light, medium and dark? I'm doing a lot of donation quilts and accumulating enough scraps that I can't just throw them all together anymore. Your mosaic quilts just 'pop' with colour. I cram all my leftovers in a big plastic bag, trouble is when I open the cupboard door they all tumble out! This is such a lovely idea, and I really love this piece!! You are so creative, and I love that you don't let the scraps go to waste. Your Color of Autumn piece is beautiful! I have so much scrap fabric that I didn't know what to do with until now. Thank you for such a cool idea. That's so beautiful, i still wonder how you did this?? 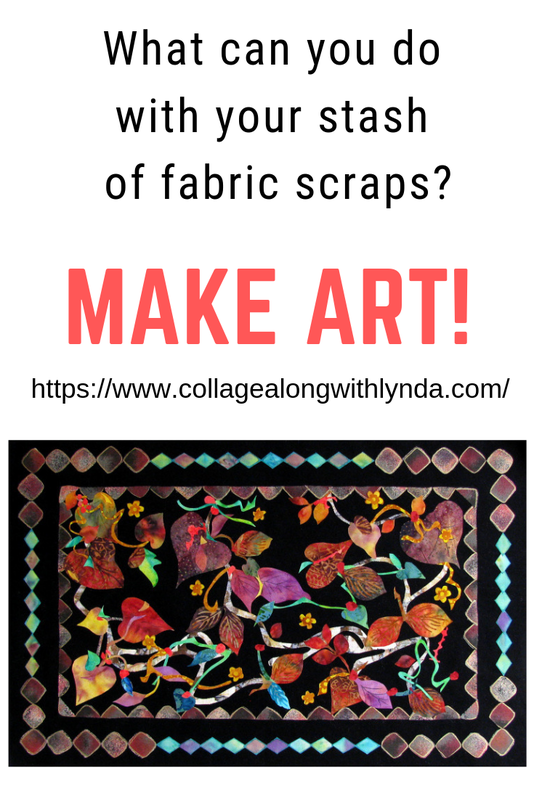 Wish I had seen this post before chunking my fabric scraps. I used to make personalized tote bags with mine. I'll start adding fusible web to the back of mine now! I need to share this with my sister in law, she loves crafts and is often quilting and other fun stuff, I bet she has a bunch of scraps that she'd love to use this idea for. Thanks for shairng. I love how vibrant your work is. 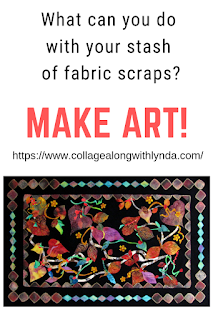 I've never tried sewing scraps but this is a good idea so as not to waste any material from sewing! I don't see or do any fabric crafts. I do a lot of paper crafts and I do these with leftover paper scraps. 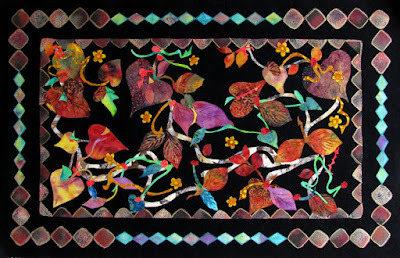 This is a beautiful work of art and it is such a great idea to save scraps. You never know what beautiful work will come from leftover scraps. This piece is so beautiful, I love all of the colors. I always wish I had more of an artsy side - I'm just not that good at being creative sometimes. This is such a great idea for what to do with those scraps so that they don't get to waste. I totally need to share this with my friend. I love that you recycle your fabric scraps! That is so awesome!! This is so beautiful! It makes a great conversation starter if this ends up being displayed in one of your areas in the house. This is beautiful! I also want to venture into sewing but I don't have the talent. You are so creative!